The inmates at Monroe Correctional Complex in Washington are, simply put, humans. Humans make mistakes, and Byron recognizes that some mistakes are more severe, but they don’t necessarily have to negate a life. With this idea in mind, Byron began visiting Monroe in 1995, after Larry Traub, a friend from Crossroads Bible Church, invited him. “I never had a fear of going in, or felt threatened,” Byron said. With 2,400 inmates and a custody level from minimum to maximum, Monroe has a variety of offenders. Byron and his team served the special offenders unit, which is part of maximum security. So Byron took his dedication to those who appeared to not want it—at least, not at first. In order to gain the inmates’ trust, he was put on trial, constantly asked questions and tested to see if he would still return the following week. “They’re open and honest, and you know what, you better be too, because they will see through you in a minute,” he said. Starting a conversation is the first step, but not every prisoner was willing to do even that. Byron visited a man in solitary confinement. This prisoner had wild red hair, broken teeth and an aggressive attitude, typically fighting with the guards. During four different visits, Byron would stand by the door and attempt to talk with the man through the door’s crack—the only way to be heard through the steel. The inmate ignored Byron each time. “I always said, ‘I’ll see you next week,'” Byron said. “Pretty soon, he realized that I was being honest with him, and I did come back.” In solitary, these opportunities are a rarity. “Nobody else is going to be by here to talk to you,” Byron reminded the man. Inmates could go days, even weeks, in solitary without any communication. So, they started to talk, alternately speaking through the crack and bobbing back up to the window to look at each other. “Our mission at Monroe is to give them hope. To show our care by being there consistently,” Byron said. They had to earn this trust, but once they did, the real work began. 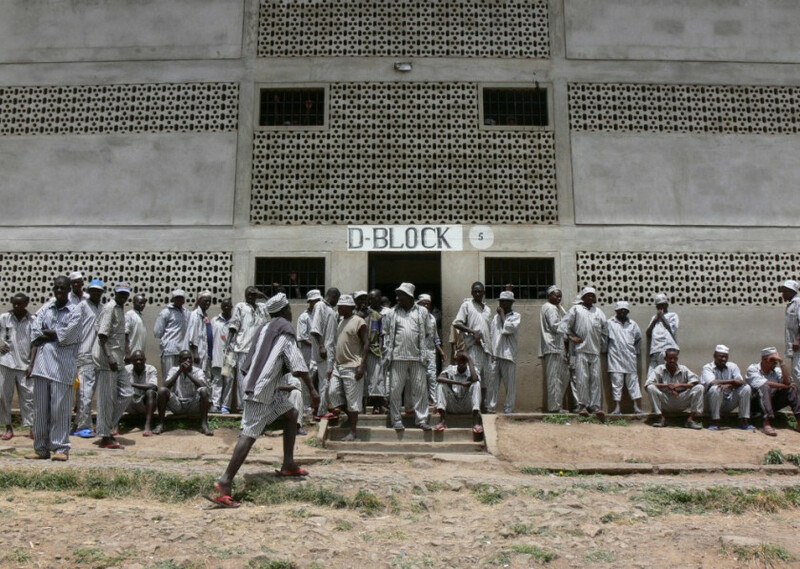 In the prison, what came to be known as the “Spiritual Transition Group” led church services, sang songs and listened. Byron and about six other men held bible study every Monday and watched as slowly, the inmates started to respond. “Seeing guys really change is the most rewarding,” Byron said. He preferred one-on-one interactions and building relationships that the inmates could come to depend on. After six months, he witnessed this impact on the prisoner who had been most resistant—the messy-haired man in solitary. “He changed from being the violent man that no one trusted to a man who was released into the general population. He cut his really long hair—cleaning up on the outside and the inside.” Of course, it was merely a first step. He still had to serve his time, but he started to use it wisely. But throughout the years Byron spent at Monroe, he witnessed many repeat offenders—those who left only to come right back. “One of the hardest parts is watching guys come back whom you worked with for a year or two (when they were inside),” Byron said. “But it’s no surprise that guys who got their lives together inside, fall right back into the same patterns when they get outside.” When released, the men are often let outside, left with only what they had when they were booked, sometimes years before. It becomes easy to revert back to what they know. With this in mind, Byron and his group took to the halfway houses. For three years, Byron worked at Reynolds in downtown Seattle. “The guys at the halfway house are happier and sadder. The reason they’re happier is because they have some freedom. The second part is many of them are scared to death. Now, they have to think and take responsibility, and that scares them,” he said. Working in the halfway houses helped add to the continuity of the work they started in the prison. “We saw the successes of guys who truly changed and managed to recreate a life for themselves,” Byron said. But the process wasn’t perfect. At both Monroe and Reynolds, there are still men continuing the work that the Spiritual Transition Group started. Byron eventually joined Prisoners For Christ (PFC), which has more than 800 volunteers, who are sent to various prisons and juvenile facilities locally. Holistically, PFC is a large group that does work all over the world. Byron joined them for a trip to Kenya in 2007. Byron describes the prisons there as overcrowded, with prisoners wearing rags. “Not so long ago, many prisoners starved to death and there was not enough funding to house and feed everyone,” he added. In the span of two weeks, the team visited more than a dozen prisons in the country, bringing medical supplies, food, recreation equipment and church services. “The hunger for our visits blew me away,” Byron said. Even in 105-degree weather, inmates showed in masses. “These prisoners hung on our every word,” he said. Crowds reached upward of 1,000 people. Five medics also taught AIDS prevention and treated 900 people, a remarkable opportunity for the men who never receive the luxury behind bars. Byron hopes to make another mission trip to Africa next year—this time to Uganda, praising the opportunity to be able to simply sit down with someone and listen. “My wife Adele will tell you this has been good for me,” he laughed. Byron balances his mission work between his duties as the owner of a wealth management firm in Bellevue. His son Spencer, 26, is studying to be a pastor, and his daughter Amanda, 24, is a product marketing specialist for Holland America, while wife Adele is a real estate agent in Bellevue.